Made of high quality stainless steel, Tramontina products are specifically designed for those that appreciate the finer aspects of entertaining. This stylish tray elegantly holds a range of entertainment and dinner party assortments. This flattering tray elegantly holds a range of dazzling desserts and even sweet snacks as well as savoury appetisers . Tramontina trays are versatile, they can go from being used as serving trays for your special dinner guests to decorative trays around the home. 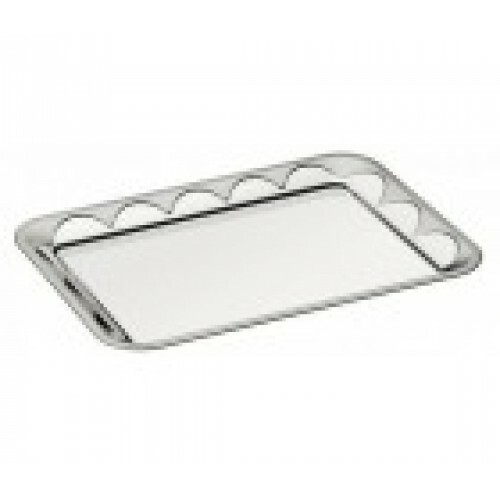 Not only are Tramonitna trays made of high quality stainless steel, but they are also easy to maintain. Please refer to Care Instructions for Stainless Steel.